Energy efficiency obligation schemes (EEOs) are used in many EU countries as a policy measure to reach energy efficiency targets. Some of the first EEO (UK, Italy, France, Denmark) have been capable to reach positive results over the years, as shown by the ENSPOL and EPATEE projects. The Italian mechanism, in particular, is an interesting example of white certificate scheme (WhC), since it is one of the most long-lasting schemes (operatively started in 2005), has ambitious targets, covers all sectors and energy efficiency solutions, and has many flexibility options in place (e.g. non-obliged parties, tradable market, bankability, etc.). Another point of interest is WhC development over the years. In the first phase, most of the projects were related to buildings with deemed savings as energy savings assessment method. Then the industrial sector rose constantly, till covering 80% of the savings in 2014, mostly assessed through metered savings procedures. 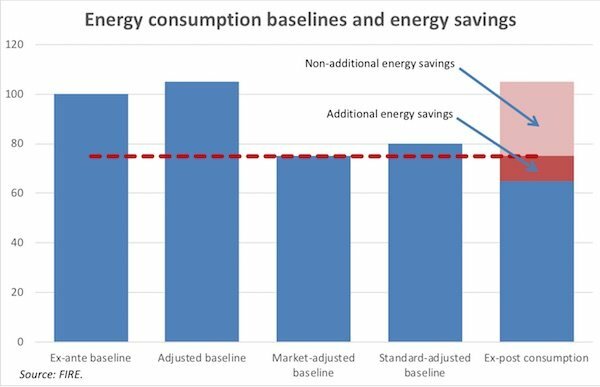 In the last three years deemed savings procedures have started to recover, while metered savings have remained the most used energy savings evaluation procedure. This last development was not expected and is mainly due to some regulatory decision and to the modification of the assessment of additionality for many industrial projects categories, due to the diffusion of certain energy efficiency solutions and to changes in the methodological approach. The presentation, based on a paper presented at the IEPPEC conference in Vienna, illustrates the issues that have arisen over the recent years, and the decisions taken to address them through a major redesign of the Italian scheme that has been introduced with new ministerial guidelines in 2017: many aspects – such as targets, baseline and additionality, saving assessment, and measurement, verification and control procedures – has been deeply affected. The presentation will cover such themes under an evaluation point of view, highlighting the savings achieved with respect to the national targets, how indicators like additional energy savings, costs, and employment have evolved over time, the role of the involved stakeholders (utilities, ESCOs, end-users, etc. ), and the effects of tight verification and control procedures.